VIEW FULL ARTICLE HERE ! 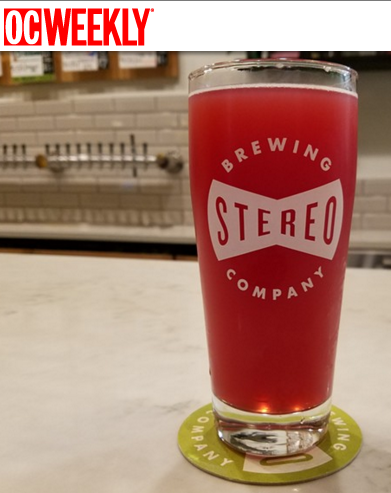 Stereo Brewing Company in Placentia was born after a long night of listening to great vinyl and drinking great beer. Rick Smets, now owner and brewer wanted a way to mix his love for music with his lifelong passion for brewing. Big Star Pale Ale - OC Weekly's Beer of the Week! The early star is—appropriately enough—the Big Star Pale Ale (5.5% ABV), a perfect blend of hops and malt. It's not IPA-hoppy but packs a punch; the citrus tones down any bitterness and it finishes clean.